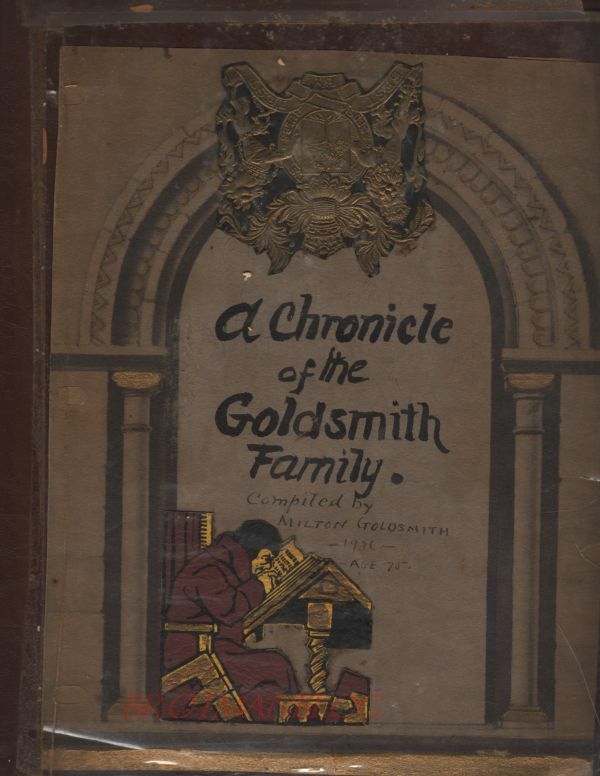 Before my father died, I had started posting images from the pages of Milton Goldsmith’s family album. Because my father had a memory of Milton—he was his first cousin, twice removed, his grandmother Hilda’s first cousin—this project was and is special to me. 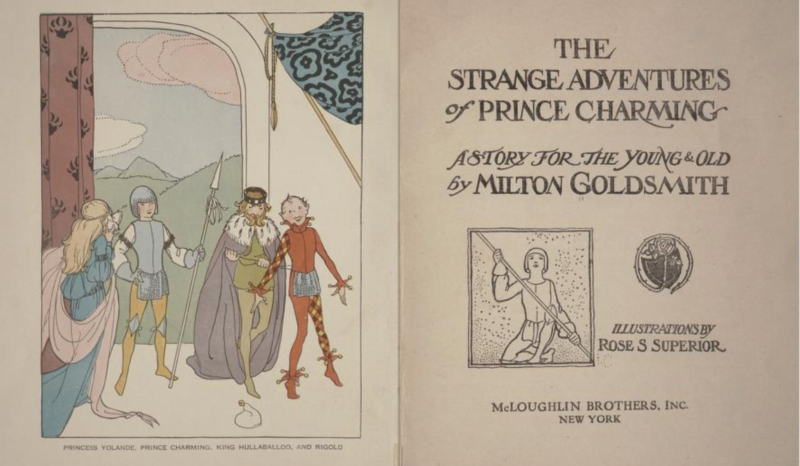 So today I will return to my Monday postings about Milton’s album. 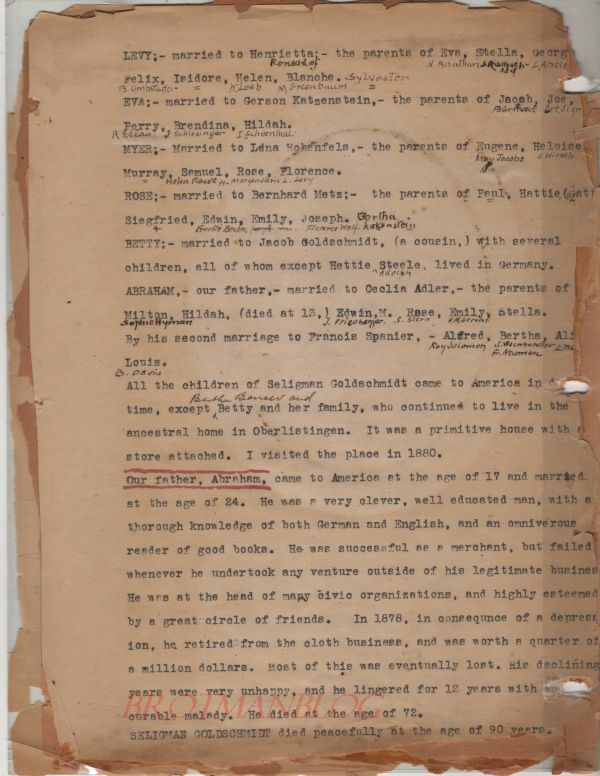 So I was excited to read in Milton’s family report that Betty and Jacob had had a child—Hettie Steele—who had left Germany and presumably survived. But who was she? 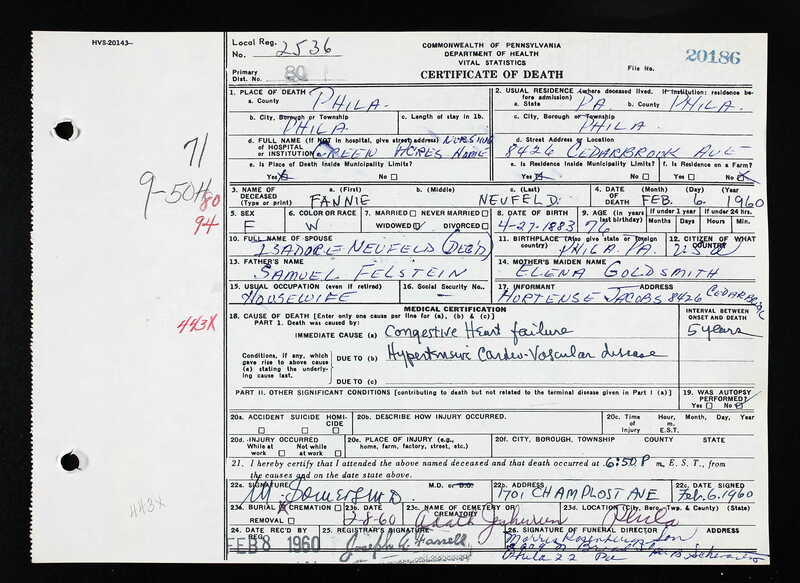 I looked back at my posts and notes on Betty Goldschmidt and Jacob Goldschmidt (Lehmann’s son) and saw that they’d had a daughter named Hedwig for whom I had a birth record, but no subsequent records. 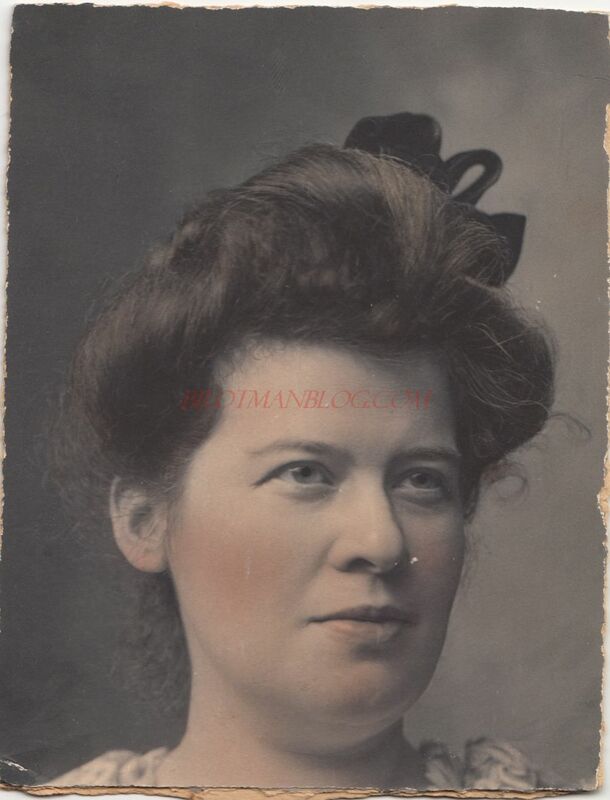 She was born on August 21, 1868, in Oberlistingen Could this be Hettie Steele? 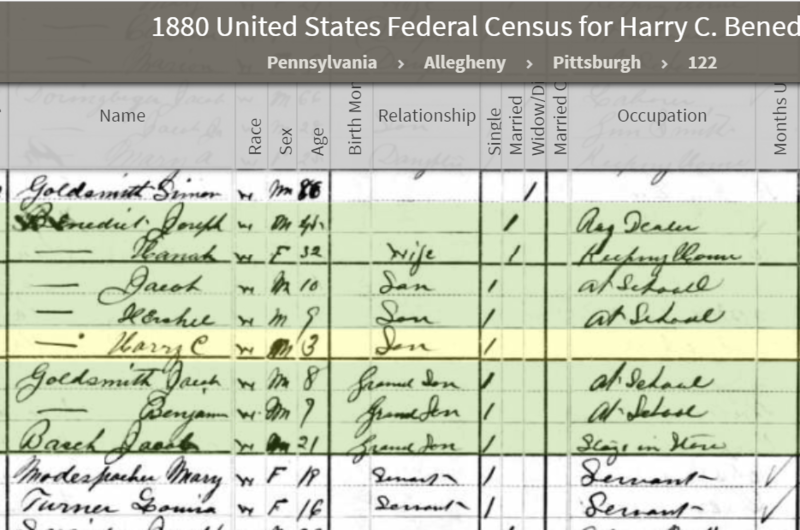 Milton had written under Hettie Steele the name “Adolph,” so I set off to research Adolph and Hettie Steele and found a couple with those names on the 1900 census living in Butler, Pennsylvania. From there I was able to work forwards and backwards in time to learn a great deal about Hettie. 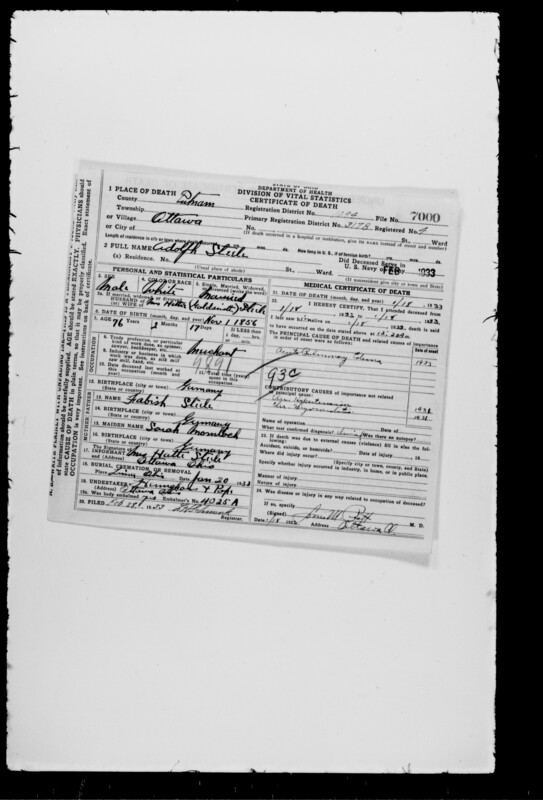 According to the 1900 census, Hettie arrived in the US in 1883, when she was only fifteen years old.2 A number of her mother Betty’s siblings were then living in Philadelphia, including my great-great-grandmother Eva Goldschmidt Katzenstein. Presumably that is where young Hettie was headed, though I have no record of her living in Philadelphia after she arrived. 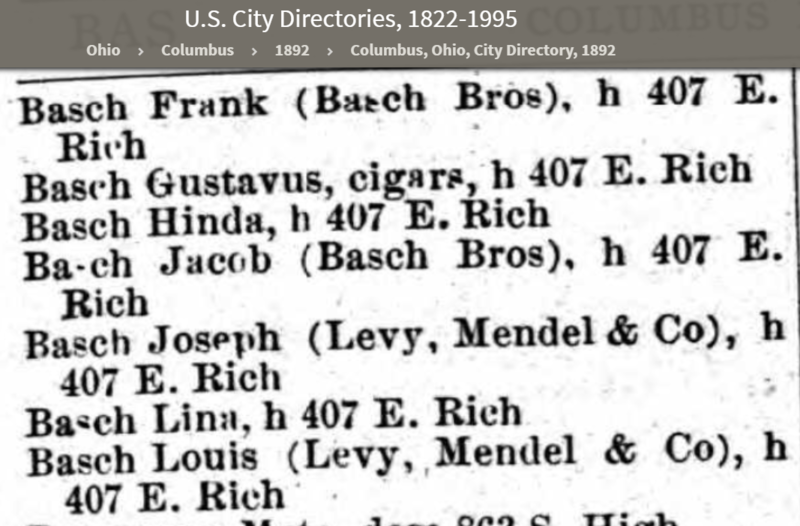 Of course, several other members of the Goldschmidt/Goldsmith clan had lived in Washington, but in 1890, the only member of Hettie’s extended family who was still living there was my great-grandmother, Hilda Katzenstein Schoenthal. 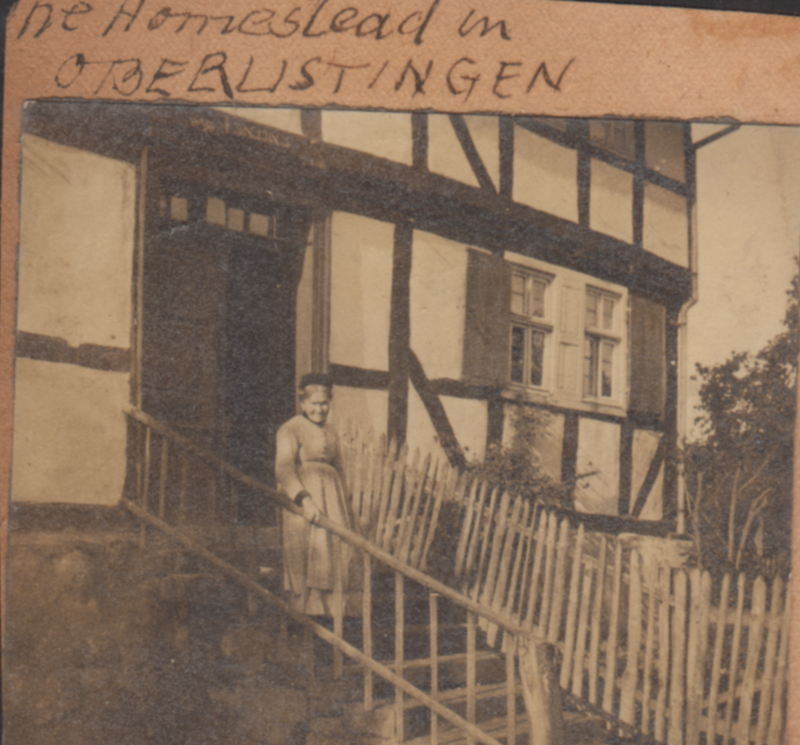 Hilda was Eva Goldschmidt’s daughter, Betty’s Goldschmidt’s niece, and thus Hilda and Hettie were first cousins living in the same small town together in the 1890s. 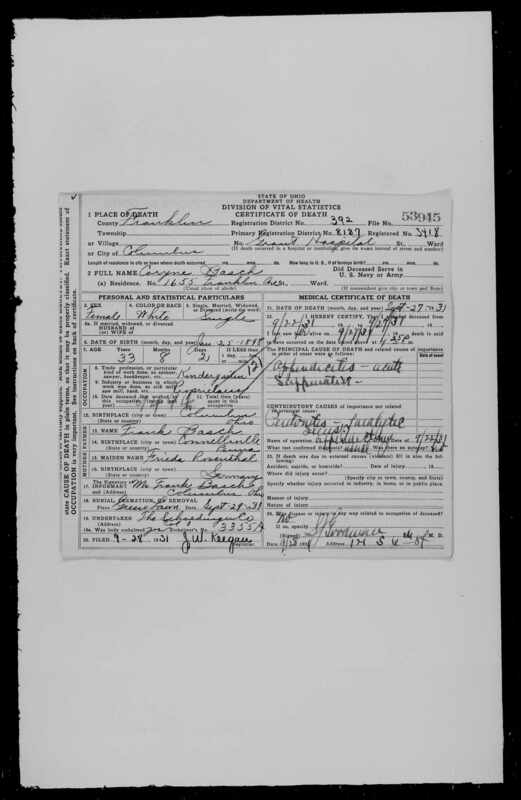 They were also having children at the same time; my great-uncle Lester was born in Washington, Pennsylvania in 1888, his brother Gerson in 1892. These cousins were thus all close in age. 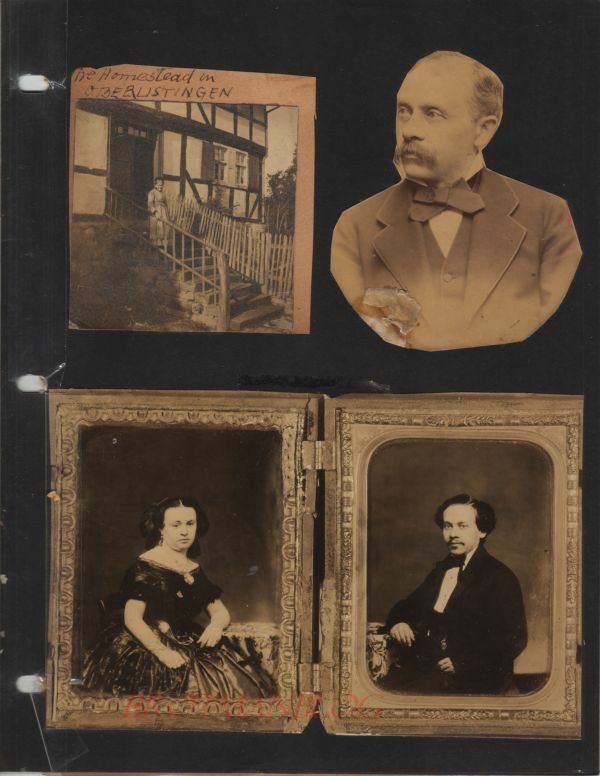 They must have known each other, and yet I had never known of Hettie until I read Milton’s family report in his album. 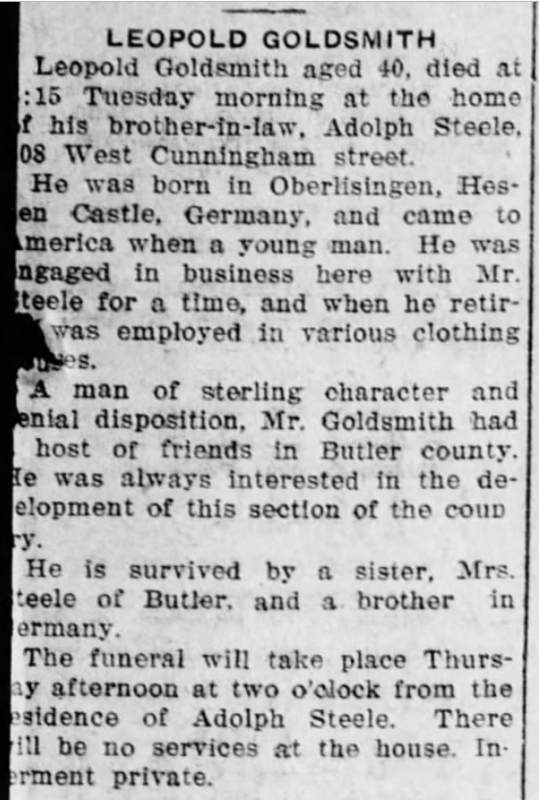 But by 1900, Hettie and Adolph and their two children had left Washington and moved about sixty miles north to Butler, Pennsylvania, where Adolph was working as a clothing merchant. 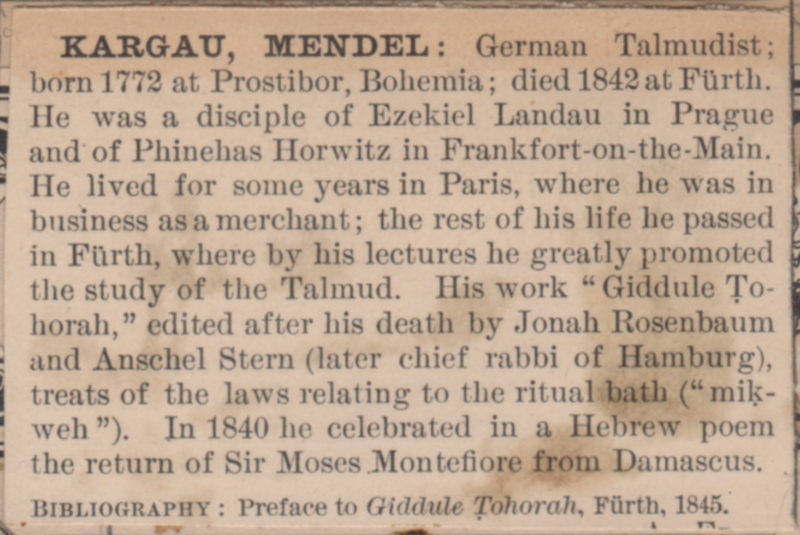 A boarder named Leopold Goldsmith was living with them, but I wasn’t sure whether he was connected to the family. 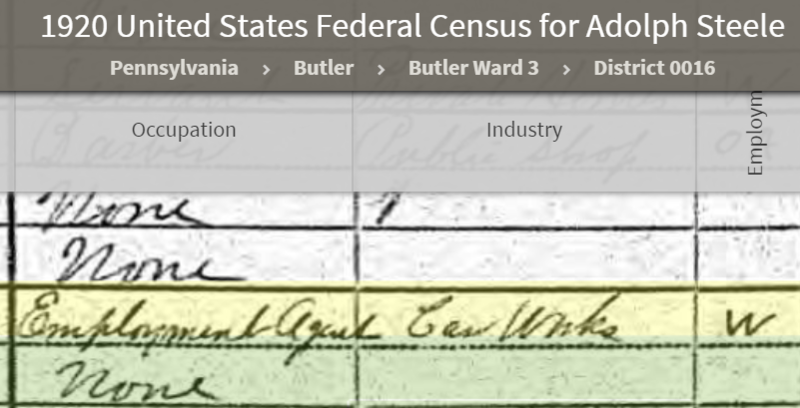 On the 1910 census, Adolph and Hettie were still living in Butler, and Adolph continued to work as a merchant. Their daughter Florence, now nineteen, was working as a public school teacher. 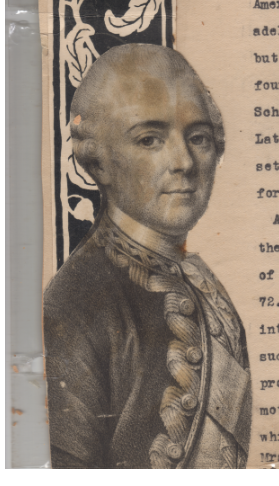 Leopold Goldsmith was still living with them, and this time he was identified as Adolph’s brother-in-law. My eyes lit up. 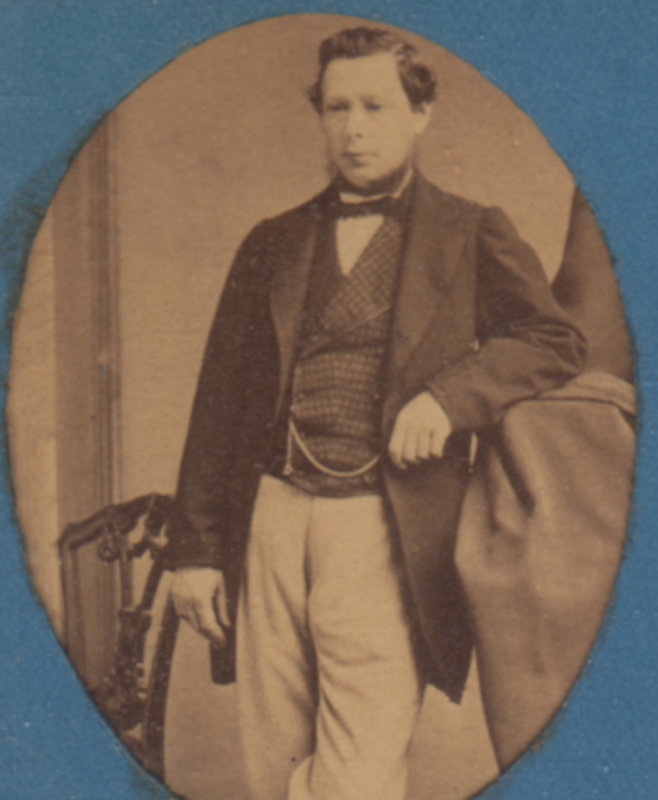 Leopold Goldsmith had to be Hettie’s brother, meaning another child of Betty and Jacob Goldschmidt had made it to adulthood. 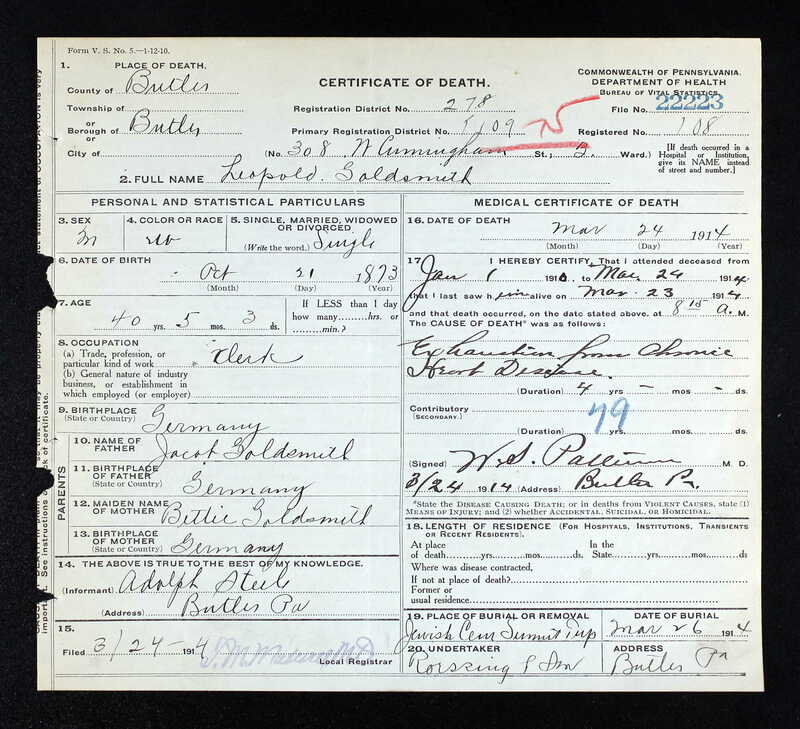 Betty and Jacob’s youngest child was named Lehmann on his birth record, and he was born on October 22, 1872. 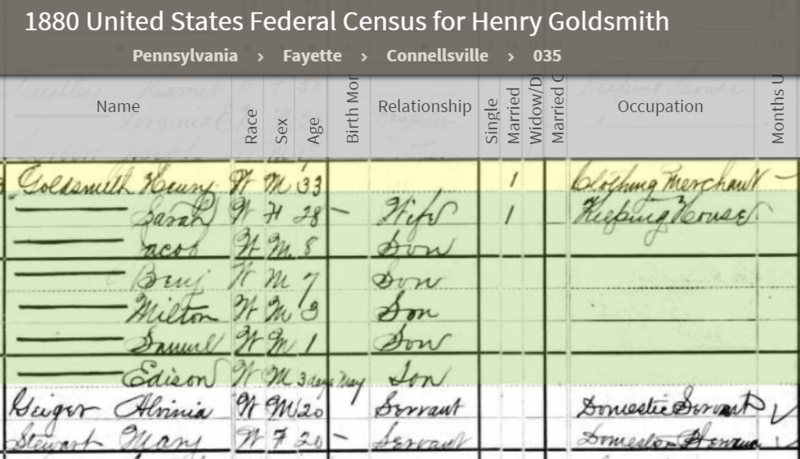 I looked back at the 1900 census and saw that on that census Leopold Goldsmith reported a birth date of October 1872. 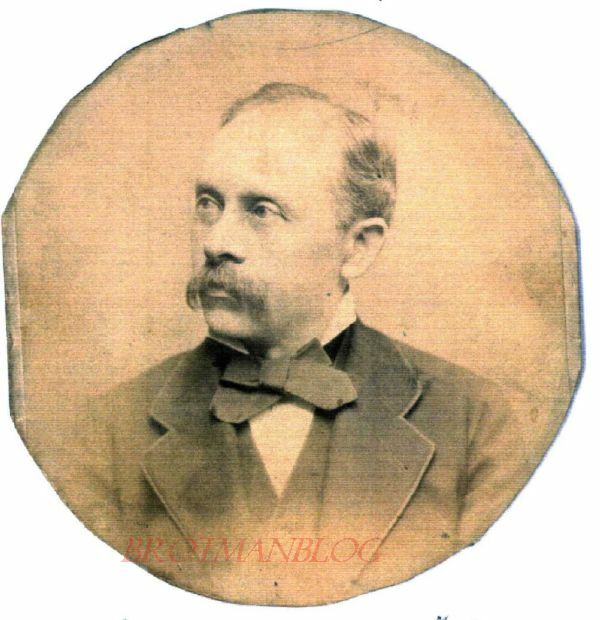 Leopold had to be Betty and Jacob’s son who was born Lehmann. But alas, Leopold’s life was cut short like so many of his siblings. He died on March 24, 1914, in Butler, Pennsylvania, at the age of 40. 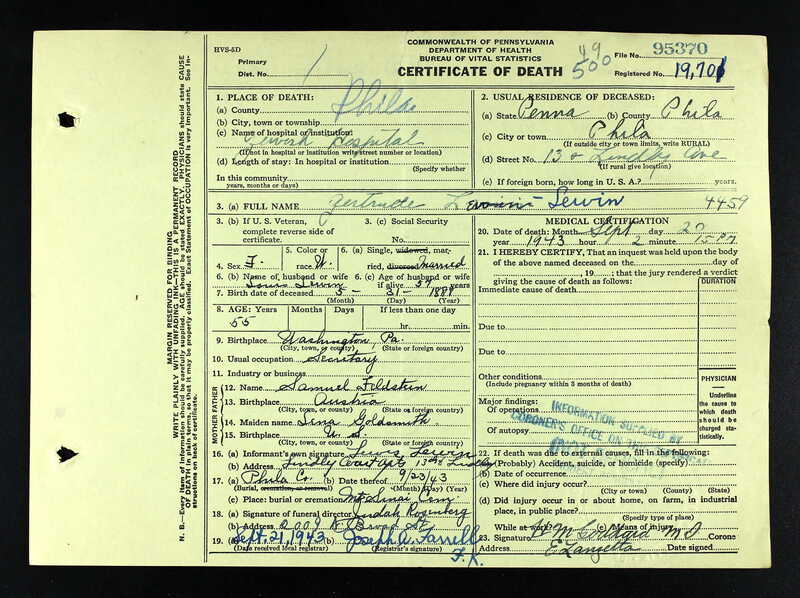 According to his death certificate he died from exhaustion from chronic heart disease. 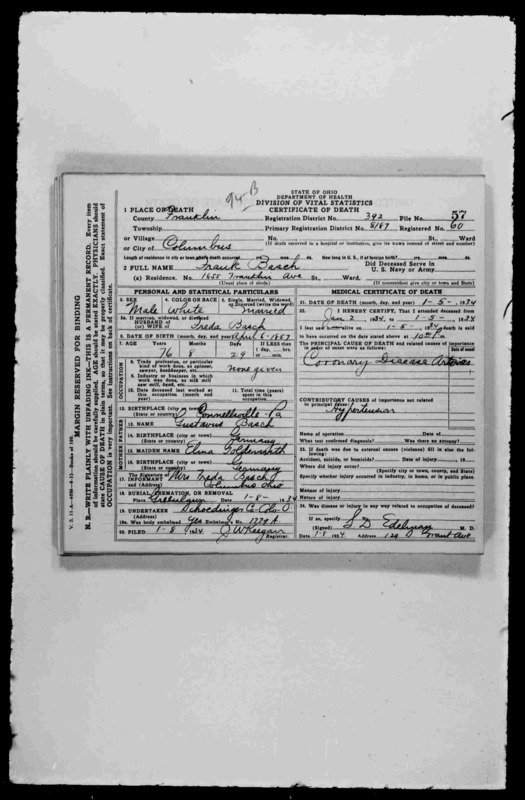 His brother-in-law Adolph Steele was the informant on his death certificate. 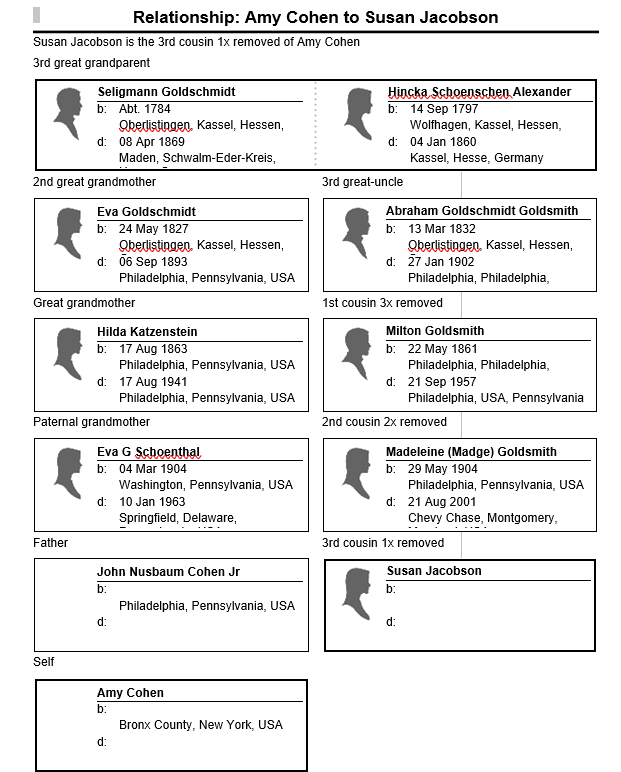 Seeing the mention of only Hettie and “a brother in Germany” as survivors confirmed my conclusion that all of Betty and Jacob Goldschmidt’s five other children had died. The brother in Germany must refer to Berthold. 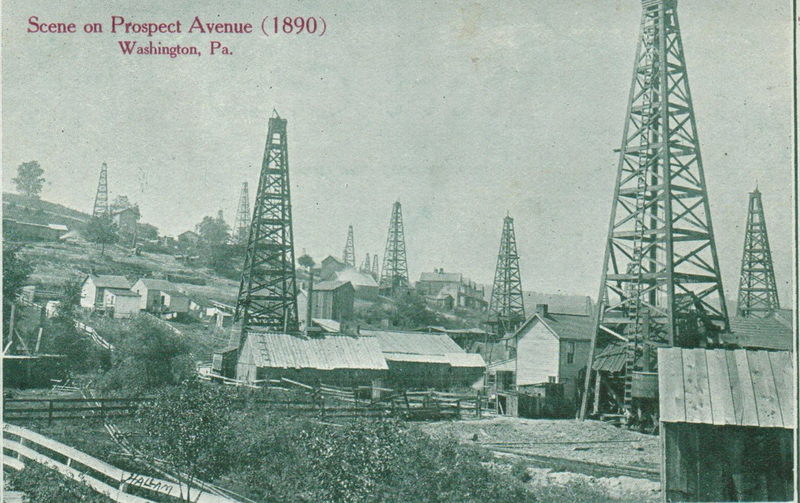 Hettie and Adolph were still living in Butler, Pennsylvania, in 1920, but Adolph was no longer a clothing merchant. 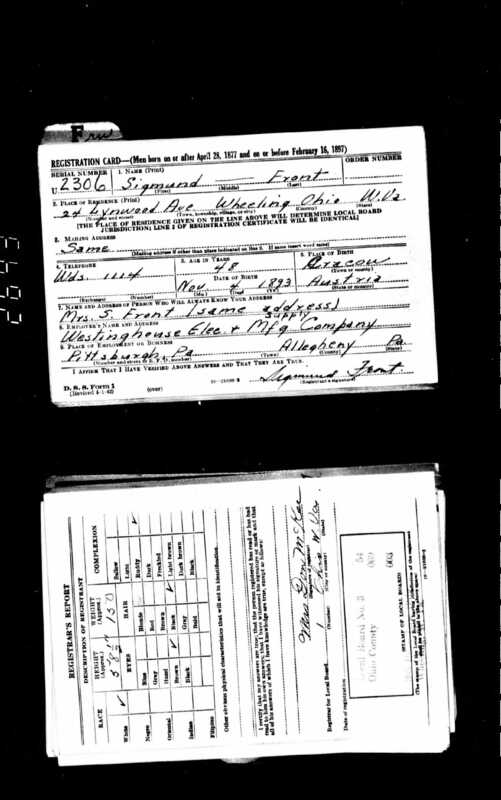 It looks like it says he was an employment agent for “car works” or maybe “gas works.” Anyone have any idea what that means? By 1930, Hettie and Adolph had moved from Butler, Pennsylvania, to Highland Park, Michigan. 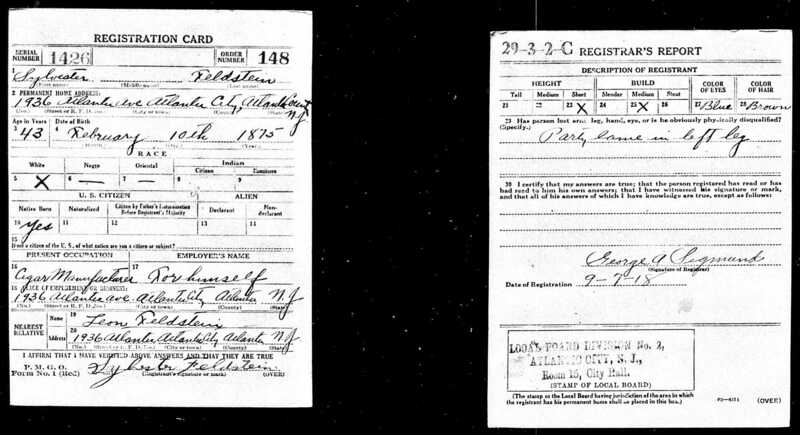 Adolph was now 73, but still working, now as a storekeeper for a carpet business.15 He died just three years later on January 18, 1933, in Ottawa, Ohio, where their daughter Florence was living. 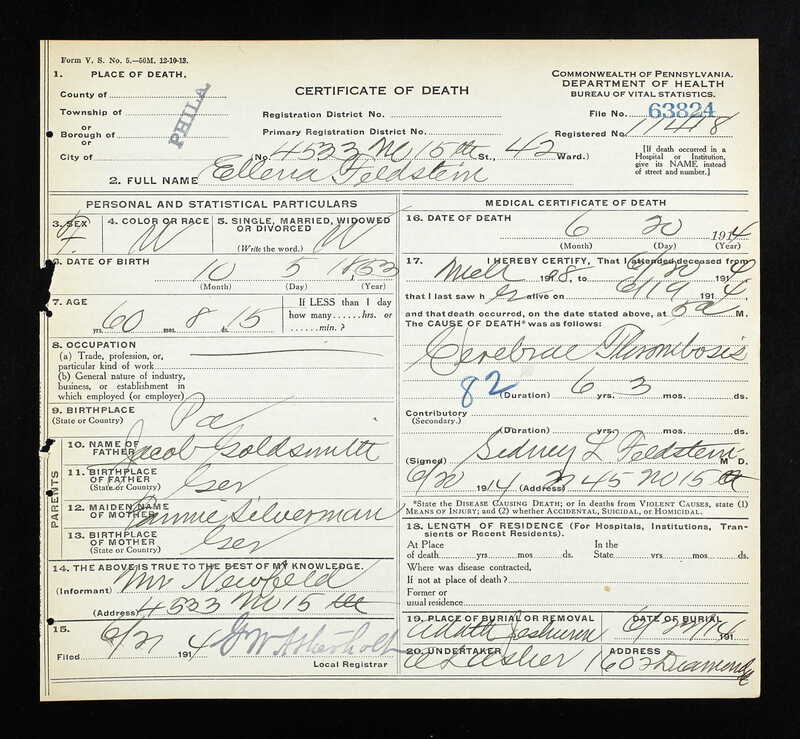 According to his death certificate, he died from acute pulmonary edema after suffering from chronic hypertension and myocarditis since 1931. He was 77. 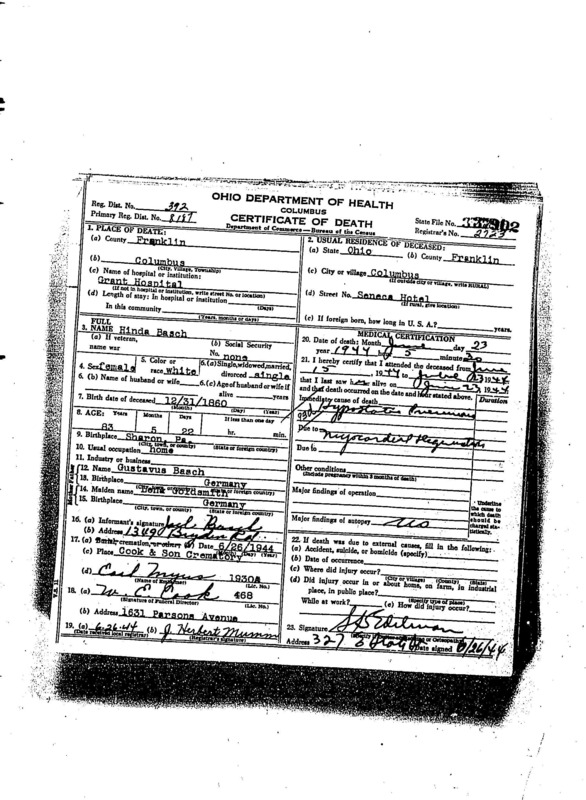 “Ohio Deaths, 1908-1953,” database with images, FamilySearch (https://familysearch.org/ark:/61903/3:1:33S7-9PKD-9HFM?cc=1307272&wc=MD96-VTG%3A287599601%2C291650202 : 21 May 2014), 1933 > 06001-09000 > image 1083 of 3247. Hettie died six and a half years later on June 13, 1939, in Ottawa, from acute coronary occlusion; she was seventy. 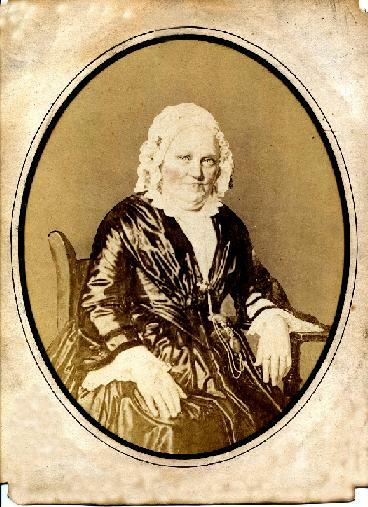 She was the longest surviving child of Betty and Jacob Goldschmidt. And she was survived by her children Florence and Leighton and four grandchildren. 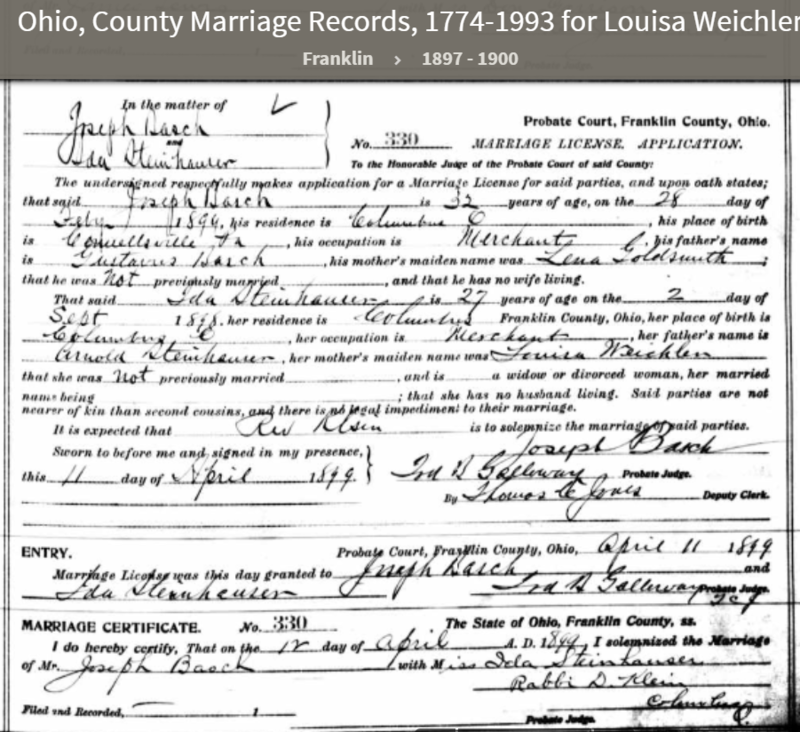 “Ohio Deaths, 1908-1953,” database with images, FamilySearch (https://familysearch.org/ark:/61903/3:1:33S7-9PTC-3C1?cc=1307272&wc=MD9X-BP8%3A287601801%2C294559601 : 21 May 2014), 1939 > 38901-41800 > image 298 of 3242. Florence was 95 when she died on April 9, 1986.19 She and her brother Leighton were survived by their children and grandchildren and have a number of living descendants today. 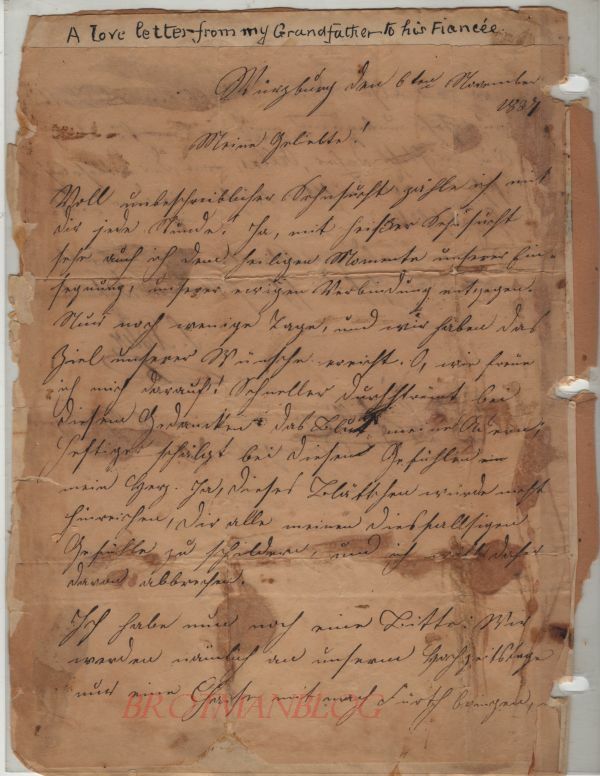 How grateful I am for that one little comment on Milton Goldsmith’s family report mentioning Hettie and Adolph Steele. It led to the addition of a whole new branch on my Goldschmidt family tree. 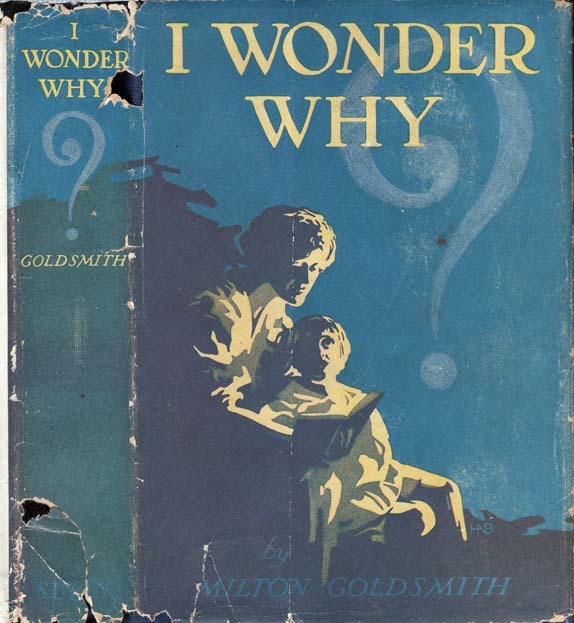 More importantly, I learned that Betty and Jacob Goldschmidt have living descendants, contrary to what I’d thought before Milton’s report enlightened me. When I last posted about the children of Jacob Goldsmith, I was focusing on those of his children who died between 1911 and 1920. 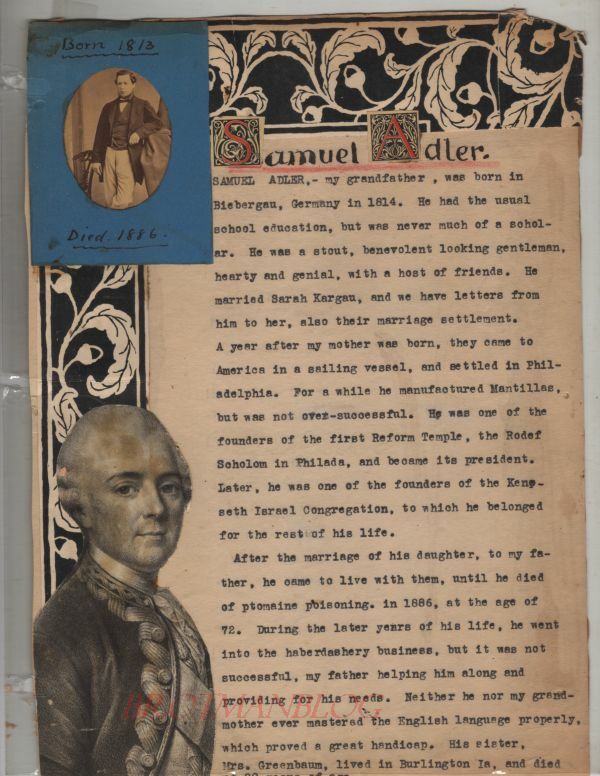 In 1910, twelve of Jacob’s fourteen children were still living; Emma and George had already passed away. By the end of 1920, only seven of the remaining children were still living. Five of the siblings died between 1911 and 1920. We have already seen that Leonora Goldsmith Jaffa died in 1911, Rachel Goldsmith died in 1915, and Felix Goldsmith died in 1919. 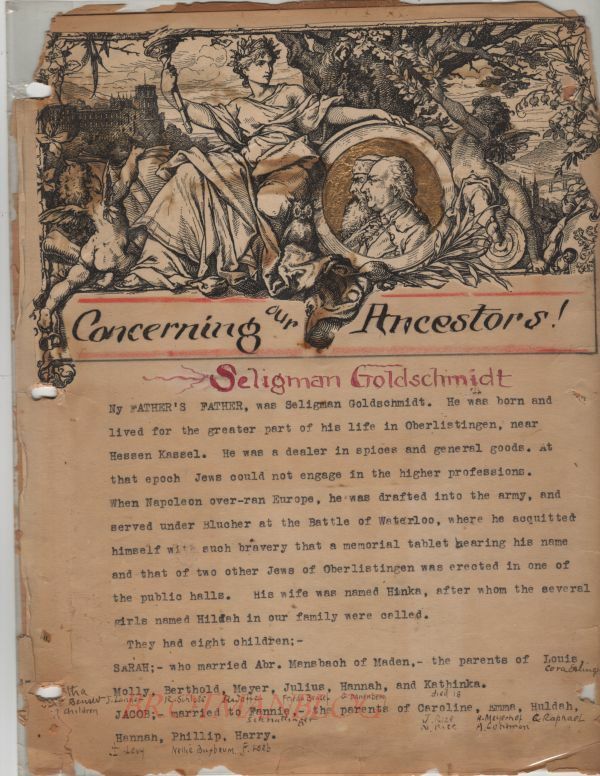 The fourth of Jacob Goldsmith’s children to die between 1911 and 1920 was his oldest child, Ellena Goldsmith Feldstein. Ellena had lost her husband Samuel and her son William in 1908, and on June 20, 1914, she died from cerebral thrombosis. She was sixty years old. 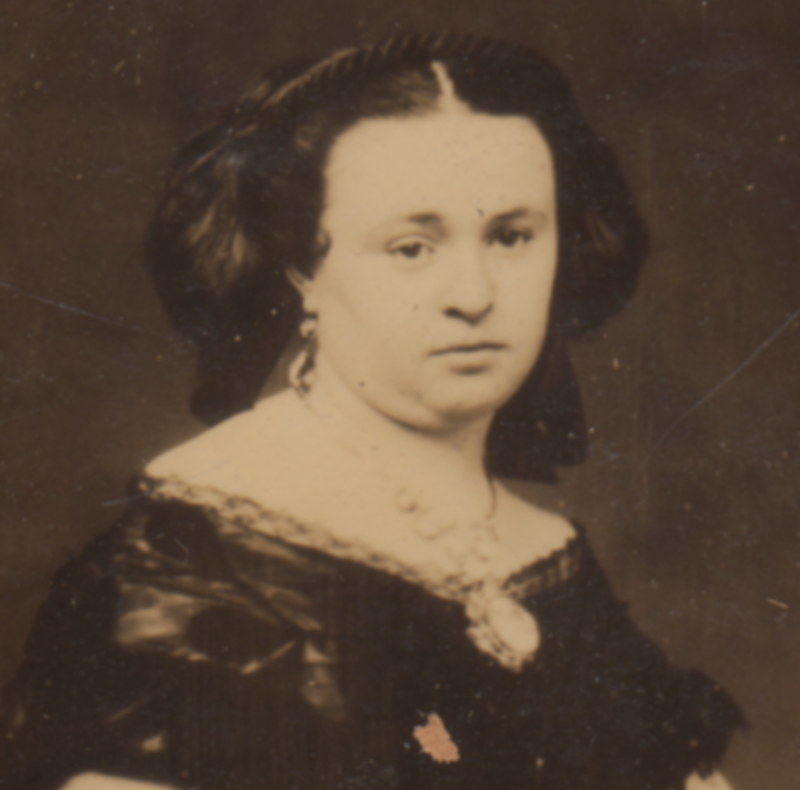 She was survived by four of her children: Sylvester, Leon (formerly Leopold), Fannie, and Gertrude. 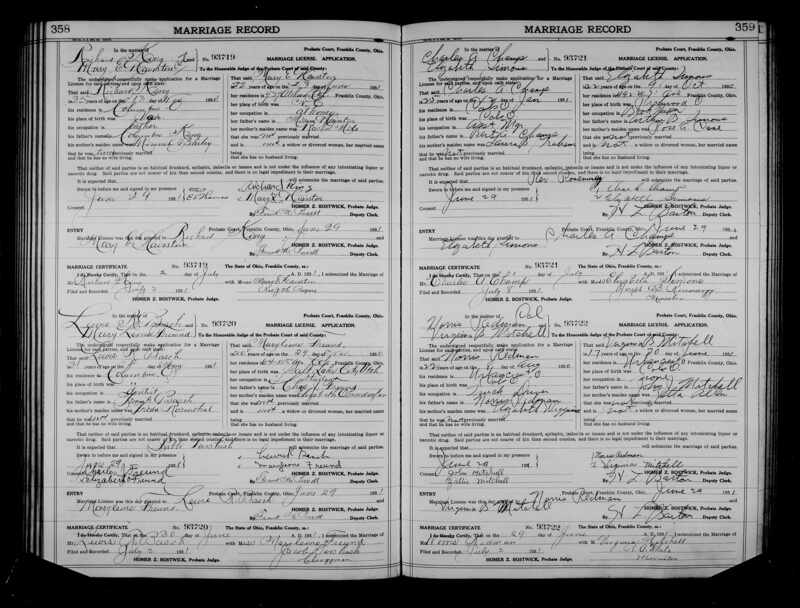 Sylvester had married Selma Lowenstein in 1911 in Philadelphia.1 She was born in Germany on July 12, 1888,2 and had immigrated to the US in 1908.3 Sylvester and Selma settled in Atlantic City where Sylvester was in the cigar business with his brother Leon.4 On March 27, 1914, just two months before Ellena died, Selma gave birth to Samuel Feldstein, obviously named for his grandfather, Sylvester’s father.5 When he registered for the World War I draft, Sylvester was still in the cigar business and reported that he was partly lame in his left leg. 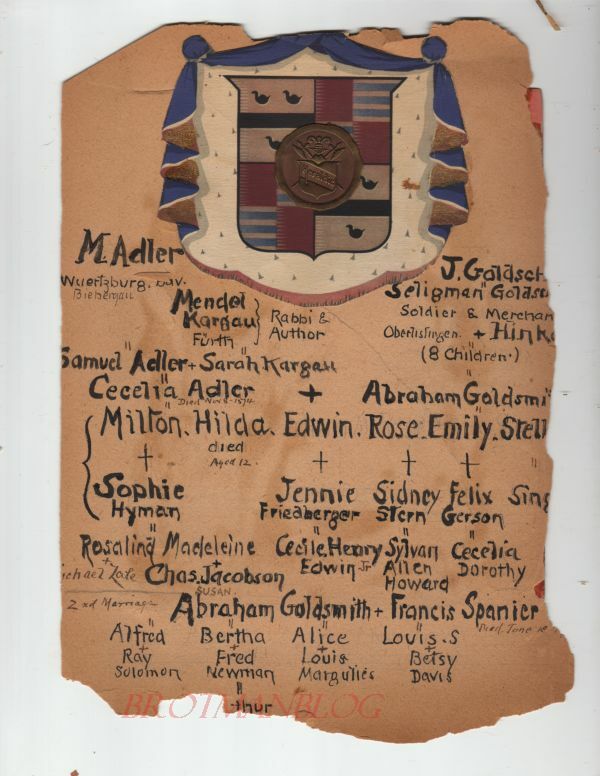 As for Ellena Goldsmith Feldstein’s two daughters, Fannie and Gertrude, as noted in an earlier post, Fannie had married Isidor Neufeld in 1904 and had two children, Hortense (1905) and Sylvia (1908). Isidor was a shirt cutter in a factory, a job he continued to hold in the 1910s. By 1920 he had been promoted to a foreman in the shirt factory. 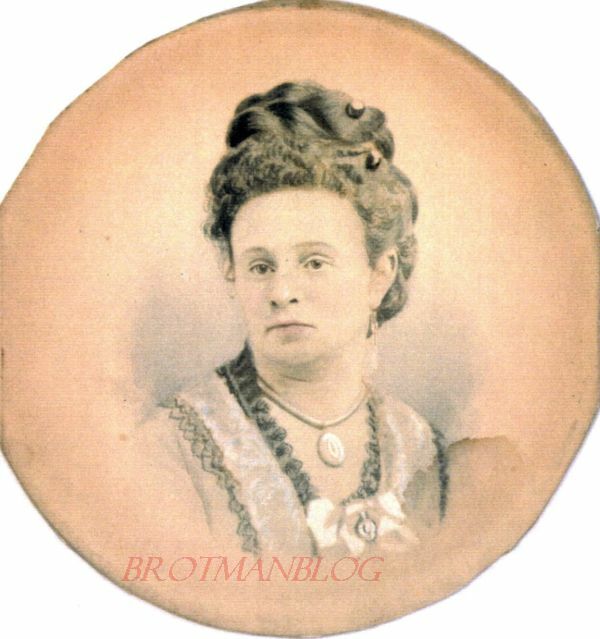 Fannie’s sister Gertrude was also living with them; she was working as a stenographer for a bottle company. Eugene had been previously married and in 1920 was living with his first wife Edith Wollner and working in shirt manufacturing. 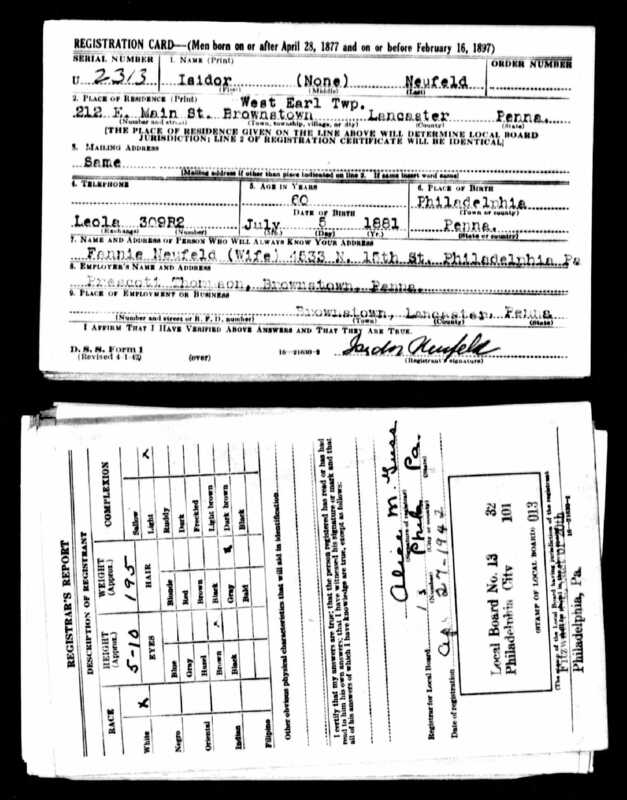 23 I could not locate him on the 1930 census or in any other records until the entry in the Philadelphia marriage index entry for him and Sylvia in 1939. 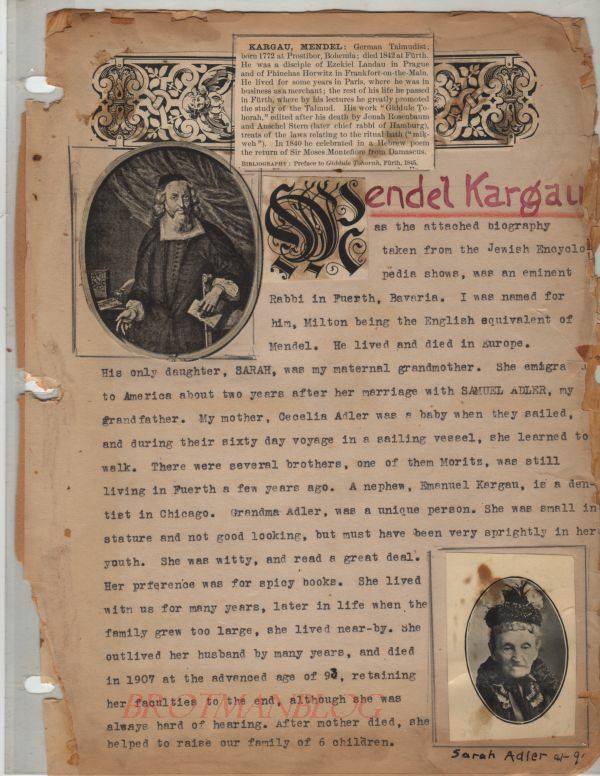 In 1940 Eugene and Sylvia were living with Sylvia’s mother Fannie Goldsmith Neufeld in Philadelphia; Eugene was now a salesman in a retail furniture store, perhaps his father’s business, and Sylvia was teaching school. But where was Fannie’s husband Isidor? 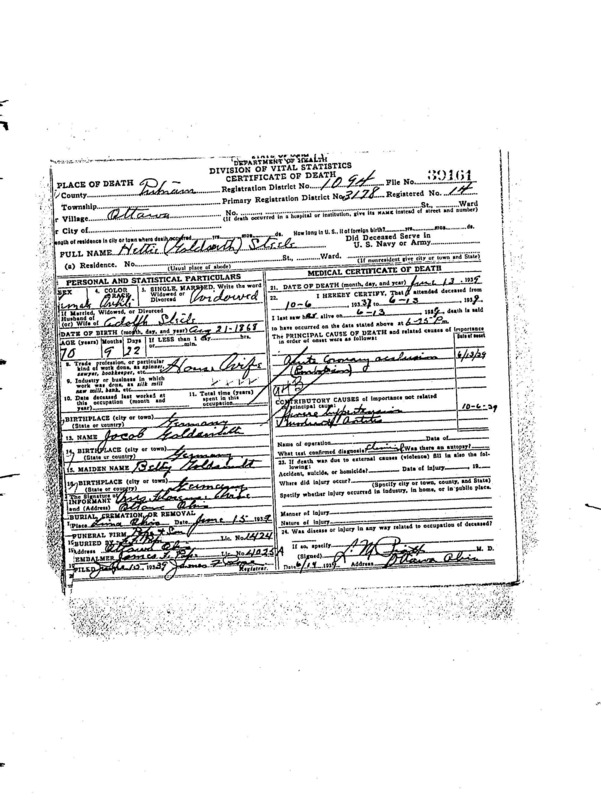 I found him living in Lancaster, Pennsylvania, boarding with a family and working as the foreman in a shirt factory.24 Both he and Fannie listed their marital status as married on the 1940 census, so I assume this was a work-related move necessitated by the Depression. 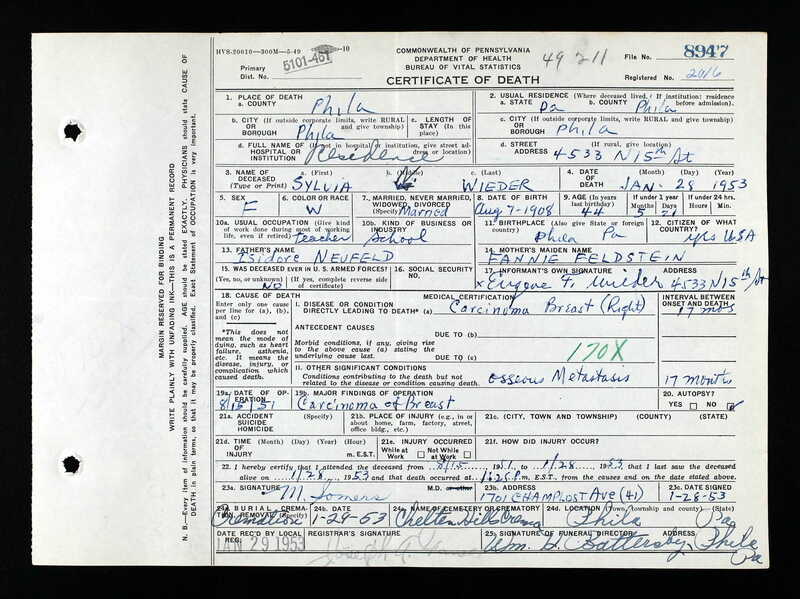 That assumption is reinforced by Isidor’s World War II draft registration two years later; he was still living in Lancaster, but listed Fannie as his wife and his contact person on the registration, giving Fannie’s Philadelphia address. Fannie’s sister Gertrude also married in the 1930s. 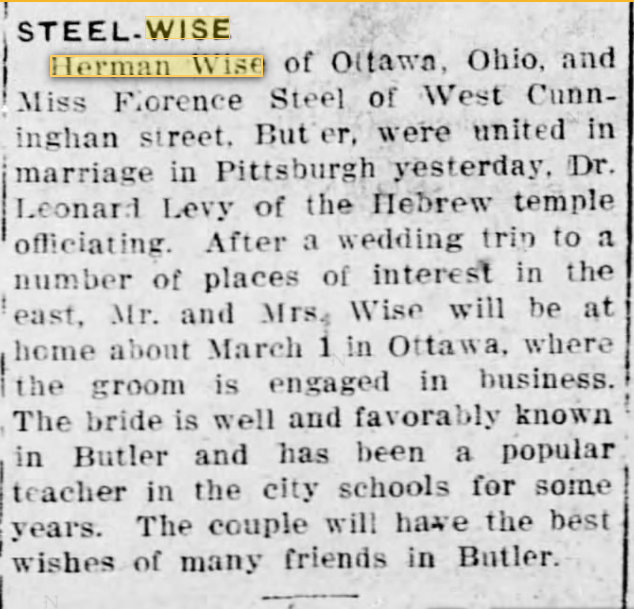 She married Louis Lewin in Philadelphia in 1938; she was 49, he was 53.25 Louis was born in Bellefonte, Pennsylvania, on February 16, 1885.26 His parents were Samuel Lewin, a German-born clothing merchant, and Helen Obendorf, who was born in Maryland. Louis’ father died in 1904, and by 1906, his family had moved to Baltimore, where his mother’s family lived.27 In 1910 Louis was living with his mother and other relatives and working as a dry goods salesman. 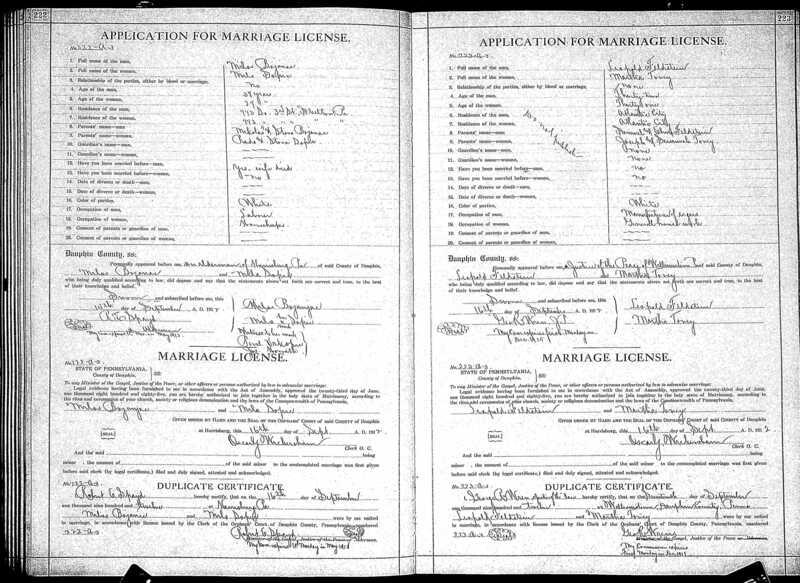 By 1920, he was married to a woman named Louisa and living in Philadelphia, but in 1930 he was divorced and back in Baltimore, working as a clerk in the post office, and living as a lodger.28 After he and Gertrude married, they were living in Philadelphia where Louis was a candy salesman and Gertrude a secretary in a law office in 1940. Sadly, Gertrude died just three years later at the age of 55 from hypertensive cardiovascular disease and cerebral hemorrhage. 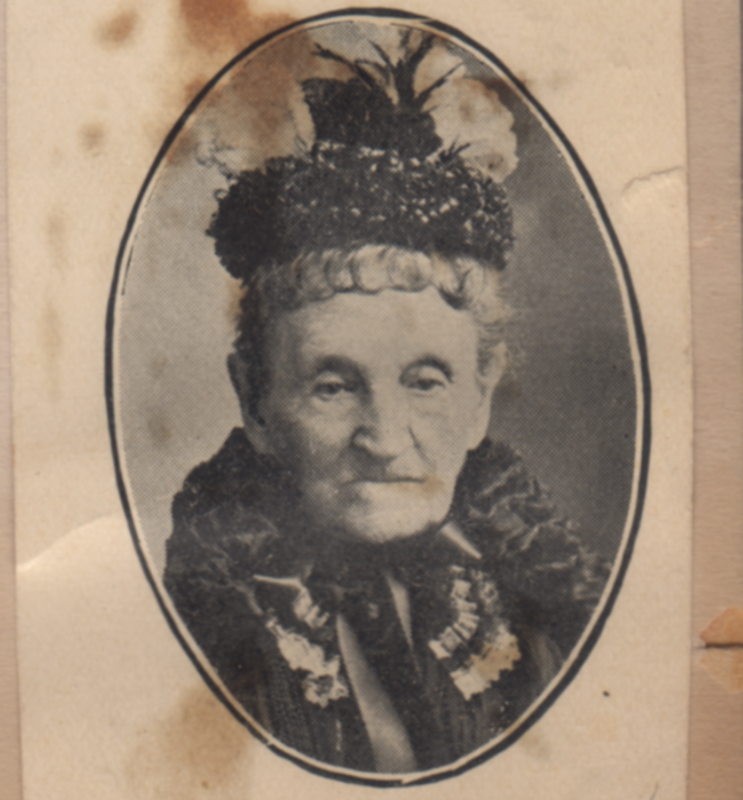 Of the five children born to Ellena Goldsmith and Samuel Feldstein, only Fannie was left after Gertrude died in 1943. And then Fannie suffered yet another terrible loss when her younger daughter Sylvia died from breast cancer on January 28, 1953, at the age of 44. Almost exactly two years later Fannie lost her husband Isidor Neufeld on January 13, 1955; he was 73 and died from prostate cancer.29 Fannie survived him for five years, dying at age 76 from congestive heart failure and hypertensive cardiovascular disease on February 6, 1960. According to her death certificate she had suffered from heart disease for five years, so from about the time she lost her husband. Ellena Goldsmith and Samuel Feldstein’s family was not blessed with longevity. Ellena was sixty when she died, Samuel 61. Fannie Feldstein Neufeld was their only child to live past sixty; Arthur had died before his first birthday, William at 31, Sylvester at 44, Leon at 53, and then Gertrude at 55. 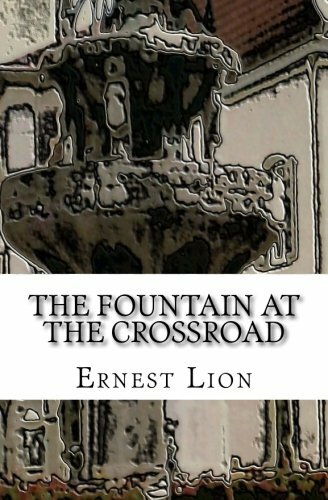 Of those six children, only two had children of their own: Fannie’s two daughters Hortense and Sylvia, and Sylvester’s son Samuel. And Sylvia’s life was also cut short prematurely at 44. 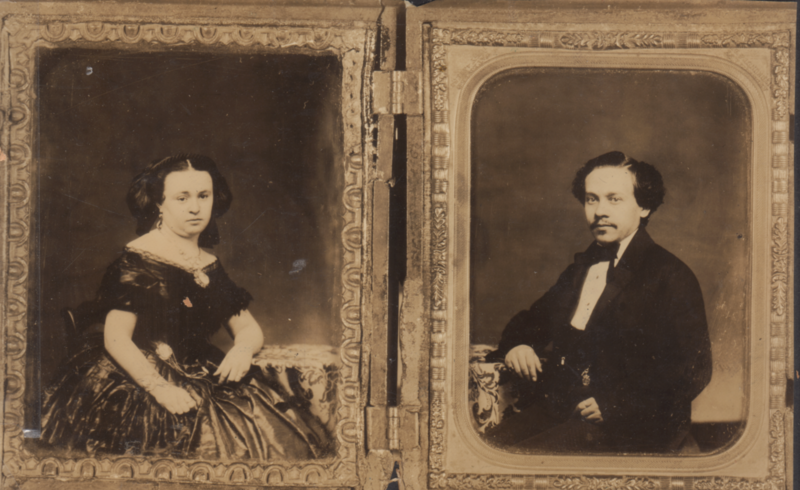 Of all the children and grandchildren of Ellena and Samuel, only Fannie, Hortense, and Samuel lived past seventy. Samuel truly avoided the family’s bad DNA as he lived to age ninety, dying in 2004. He must have inherited those good genes from his mother Selma, who lived to 84, unlike her husband Sylvester who died at 44.